David McCormick joined Bridgewater Associates, a leading investment management firm, in August 2009 as Co-CEO and a member of the Management Committee. 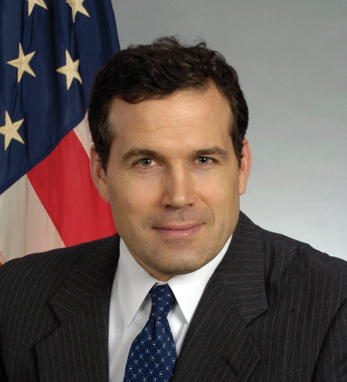 David has served in senior leadership positions in both business and government for most of the last decade, most recently as U.S. Treasury Under Secretary for International Affairs in the Bush Administration under Hank Paulson, and prior to that in the White House as Deputy National Security Advisor for International Economic Policy. From 1999-2005, David was CEO and President of two publicly traded software companies (Freemarkets, Inc. and Ariba, Inc.). Earlier in his career he was a consultant at McKinsey & Company. David is a graduate of the U.S. Military Academy at West Point with a Bachelor of Science in Mechanical Engineering, and has a Ph.D. from the Woodrow Wilson School of Public and International Affairs at Princeton University. He is a former Army officer and a veteran of the first Gulf War. David is a fourth-generation Irish-American. He and his wife, Amy, have four daughters.